Georgia Will Use Electronic Voting Machines This Fall As Paper Ballot Case Falters A judge said such a paper ballot rollout would "seriously test" the capacity of election workers and "swamp the polls with work and voters," leading to "disaffection and frustration." A touchscreen voting machine in Sandy Springs, Ga., during the primary election in May 2018. As the midterm congressional primaries heat up amid warnings of Russian hacking, about 1 in 5 Americans will be casting their ballots on machines that do not produce a paper record of their votes. There's a broad consensus among cybersecurity experts that such machines are vulnerable to potential hacks. If hackers manipulate vote totals, or another error occurs, there's no backup. Even though Totenberg said it might calm her concerns about the security of elections in the state, she decided against a wholesale switch from the touchscreen machines to paper ballots in the next month before early voting begins in Georgia Oct. 15. The judge said such a paper ballot rollout would "seriously test" the capacity of election workers and "swamp the polls with work and voters," leading to "disaffection and frustration." "There is nothing like bureaucratic confusion and long lines to sour a citizen," Totenberg said. A few Georgia voters and election security advocates originally filed a lawsuit in 2017 over the state's election security. It names Republican Secretary of State Brian Kemp, a candidate for governor in Georgia, and other election officials. The voters and advocates argued evidence of Russian attempts to hack U.S. election systems in 2016 pose a new, urgent threat to election integrity the state wasn't thinking about when it implemented the touchscreen voting machines in 2002. 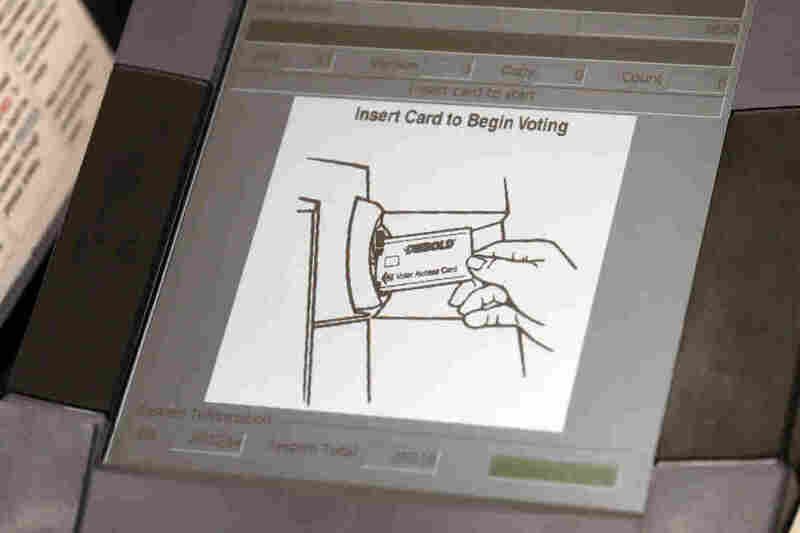 An NPR/Marist poll this week found that 56 percent of Americans believe electronic voting machines make elections less safe and 68 percent thought paper ballots made elections more secure. Georgia was not one of the 21 states whose election systems were targeted by Russian hackers in 2016, according to the secretary of state's office. But an indictment from special counsel Robert Mueller of 12 Russian intelligence officers revealed that they had visited county election websites in Georgia and other states. Totenberg admonished state election officials for their handling of security, saying they had "buried their heads in the sand." "The Court is gravely concerned about the State's pace in responding to the serious vulnerabilities of its voting system," the judge said. Lawyers for one group of plaintiffs, led by the Coalition for Good Governance, indicated they would not pursue an appeal, saying they're disappointed the machines will be used in the Nov. 6 elections. "Judge Totenberg's decision is broadly consistent with the positions that the Coalition is taking in the case — particularly the urgent need for Georgia, as soon as feasible, to switch to paper ballots," said Atlanta attorney Bruce P. Brown in an emailed statement. Kemp established a commission earlier this year to investigate how best to move Georgia to a paper ballot voting system by the 2020 presidential election. He has long faced questions about how the secretary of state's office, under his leadership, has handled cybersecurity. Lawyers for Kemp, and the other election officials, argued the touchscreen machines are secure and that switching to paper ballots so close to the Nov. 6 elections would actually pose more of a security threat. Paper ballots "are not the Holy Grail of voter integrity," said John Salter, a lawyer for the defense at a hearing last week. Kemp faces Democrat Stacey Abrams in the Georgia race for governor. "With this ruling behind us," Kemp said in a written statement Tuesday morning, "we will continue our preparations for a secure, orderly election in November."